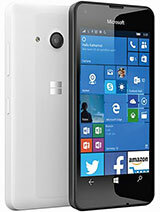 Aksay, 26 May 2013I want to buy this phone for music videos n net surfing frnds please suggest me can i buy it. Go for it..
u can shoot hd videos and play upto 1080p videos..
no any other phn under 15k beats l520 in performance..
nw its totaly ur choice.. just read below coments, watch youtube videos nd survey abt it..
neha, 26 May 2013best phone...i hate android phones, I've a experience about 3 years with android like galaxy p... moreDear friend,can you please tell me whether L520 support "LINE" ? Thz. Cant l520 tethering,,,?? ?I mean can we make it portable hot spot,,,,??? best phone...i hate android phones, I've a experience about 3 years with android like galaxy pop, sony live with walkman, galaxy ace plus, xperia neo v and after all xperia pro...all are dumb every time it hangs(people say nokia hangs alot). but l520 is came to me like beautiful cold breeze. i started with nokia 7610(4 years used) then n86 and after that galaxy pop. i'm verry happy to back with nokia. MY Camera button is not working.I saw lots of complaints on various post. i think Nokia should seriously action on it or they will have to loose customers. nokia c5.00 upgraded 128mb to 256 mb ram c5.00 5mp. 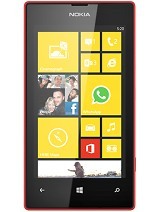 M really disappointed by nokia and ms. So buggy IE, not able to download songs, no save as option present. It forgets login after multitasking. Cant make playlists on phone. No other smart browser. simply a showoff OS. 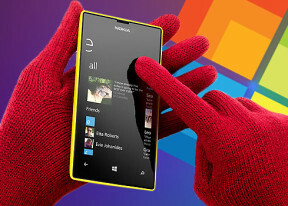 Looks like just MS is gud in Desktop, so they launched same in mobiles. Irrespective of different usage and patterns on mobile usage. everyone telling don't buy this if u r music or game freak. 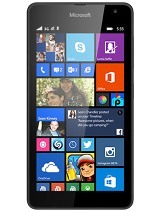 Should buy this phone for just for sms and call? Camera app is damn slow. Buy the time it opens, ur moment is gone. Wats the use of specs if the software doesn't use efficiently. I suspect putting this into Saved Pictures may fool the picture chooser in whatsapp.